Sasquatch! doesn’t take place in Seattle, WA — it’s actually held 150 miles southeast at the Gorge in George, WA — but many have come to associate the indie-rock festival with the Emerald City. Now, Seattle is going one step further by honoring Sasquatch! with its very own day. Mayor Ed Murray has declared Sasquatch!’s first day, May 23rd, as a “day in honor” of the festival. “Sasquatch! shares Seattle’s progressive commitments and dedication to civic participation, community engagement, and social justice,” the official proclamation reads. 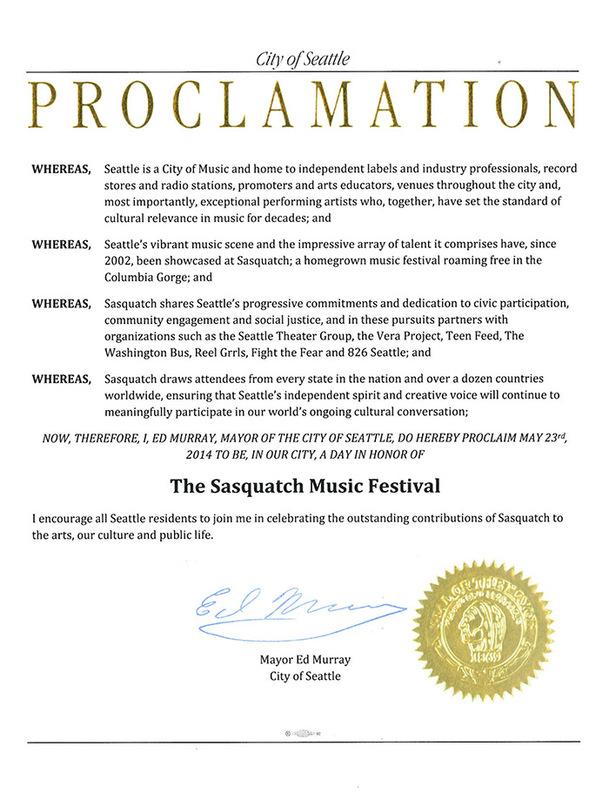 “Sasquatch draws attendees from every state in the nation and over a dozen countries worldwide, ensuring that Seattle’s independent spirit and creative voice will continue to meaningfully participate in our world’s ongoing cultural conversation.” You can see the full proclamation below. This year’s Sasquatch! lineup boasts OutKast, The National, Queens of the Stone Age, M.I.A., HAIM, Chance the Rapper, Cut Copy, Neko Case, and many more. 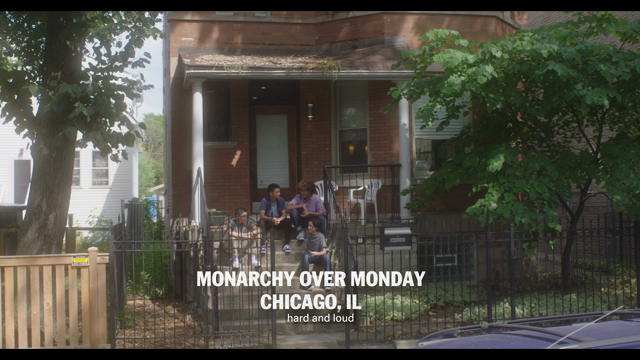 Click here to see the full lineup.